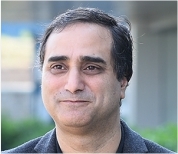 Rajeev Kaul is the Managing Director, Aerospace and Aequs Group CFO, responsible for the overall performance of the Aerospace vertical, driving business growth and expansion globally. He has been with Aequs since its inception and was instrumental in setting up the country’s first aerospace manufacturing ecosystem. With 25 years of rich industry experience, Rajeev has played a significant role in advancing Aequs’ presence in India while setting up various subsidiaries and establishing Joint Ventures. For Rajeev, bringing new capabilities to the global manufacturing ecosystem while transforming Belagavi into an aerospace knowledge centre for India, is a vital mission in helping India realize its global potential. Rajeev also serves as a board member of Aequs and its other JV companies. Prior to joining Aequs, Rajeev was with QuEST Global providing support and guidance to operational leadership on financial matters. He holds a Bachelor’s degree in Mathematics from Delhi University and is a qualified Chartered Accountant. 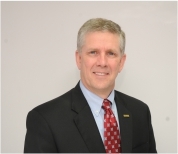 Walt Sirmans is Aequs Group Executive Vice President – Strategic Initiatives, responsible for all aerospace holdings including core machining business units as well as joint venture partnerships of Aequs. He joined Aequs in June 2011 as SVP of Global Sales and Strategy with added leadership responsibilities for both Engineering and Account Management along the way. Walt brings 29 years of experience in aerospace, manufacturing and the aviation services market segments. Since 2002, he has held executive leadership positions with Sabreliner Corporation, GKN Aerospace North America and Lockheed Martin’s Global Sustainment business prior to joining Aequs. Walt began his career with United Technologies’ Pratt & Whitney, where he held a number of leadership positions within its Military Engines unit, serving most recently as Program Manager for the F135 propulsion system for the F-35. In 2001, his JSF propulsion team was among those honoured with the prestigious Collier Trophy. Walt holds a Bachelor’s degree in Mechanical Engineering from the Georgia Institute of Technology. His professional education includes the Executive Integral Leadership program at the University of Notre Dame’s Mendoza School of Business and the Emerging Leaders Program at the University of Virginia’s Darden School of Business. Jason Addis is Vice President, European Operations in Magellan Aerospace. Jason joined Magellan Aerospace in 2008 when Magellan Aerospace purchased Verdict Aerospace in the UK. 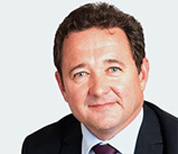 Prior to joining Magellan, he has held a number of senior positions including Director & General Manager of Verdict Aerospace for 12 years and also board director at Tomkins PLC, in the UK. In October 2014, Jason became Vice President of European Operations. Prior to his current position, he was Operations Director (South) for Magellan UK covering both Bournemouth and Chalfont Operations. Jason is responsible for the strategic and operational direction of 7 divisions across the UK and Poland employing over 1,400 staff and is also responsible for the corporations manufacturing partnerships in India including the Magellan Aerospace India manufacturing facility in Bangalore (MAI). With a degree in mechanical engineering from Thames Valley University, London, Jason has worked extensively across North America, Middle East, Asia and Europe during his career in the manufacturing industry. Shawn Smith is Chief Financial Officer, European Operations at Magellan. Shawn joined Magellan in 2005. 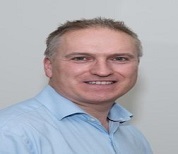 He is currently responsible for the financial direction, control and compliance for the Magellan divisions in the UK, Poland and India, employing over 1400 people across these locations. Prior to joining Magellan, Shawn held senior positions across a number of industries, including; customer relationship management, distribution and property development as well as manufacturing. Besides Poland and India, Shawn has also worked in Germany, the US and Australia. He is a Fellow of the Chartered Association of Certified Accountants with over 25 years of rich experience in his field. In addition to this, Shawn holds a degree in Economics.